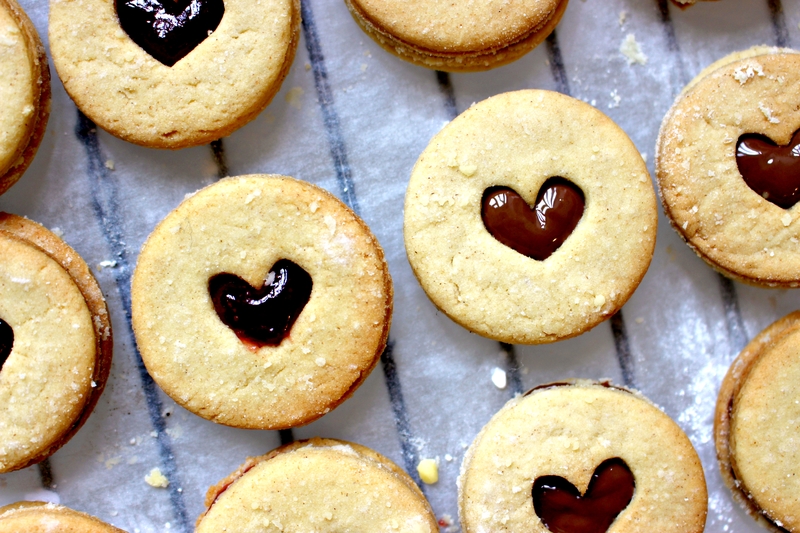 Crunchy shortbread biscuit sandwiches filled with strawberry jam, and chocolate! 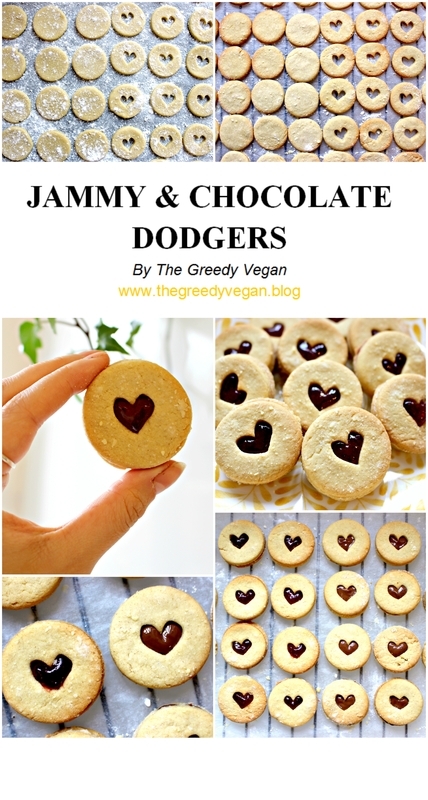 These are one of my favourites biscuits, so I just had to veganise them! They’re super crunchy, super tasty and super moorish!! As well as recreating the classic, I thought I would mix it up a little and swap classic strawberry jam for chocolate! Who doesn’t love chocolate!? 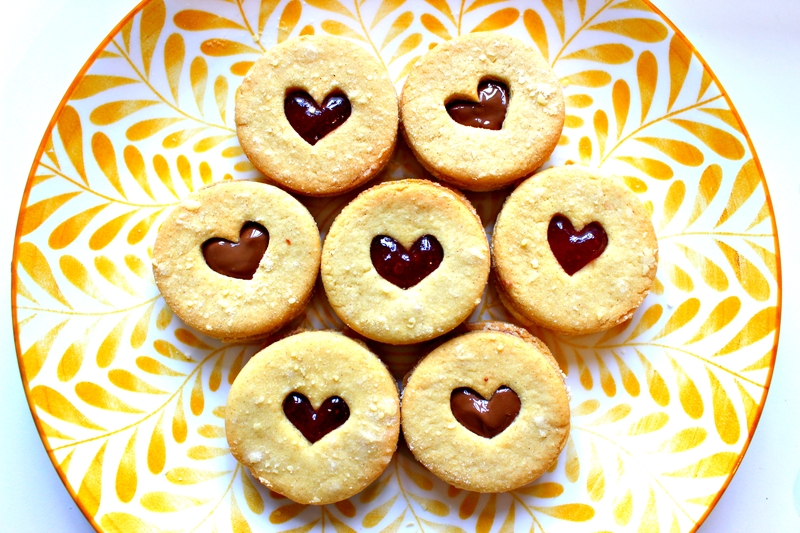 The recipe itself is really simple, using only a total of 7 ingredients, however, it does get a little fiddly with the tiny biscuit cutters. It’s all part of the fun though, and totally worth it! 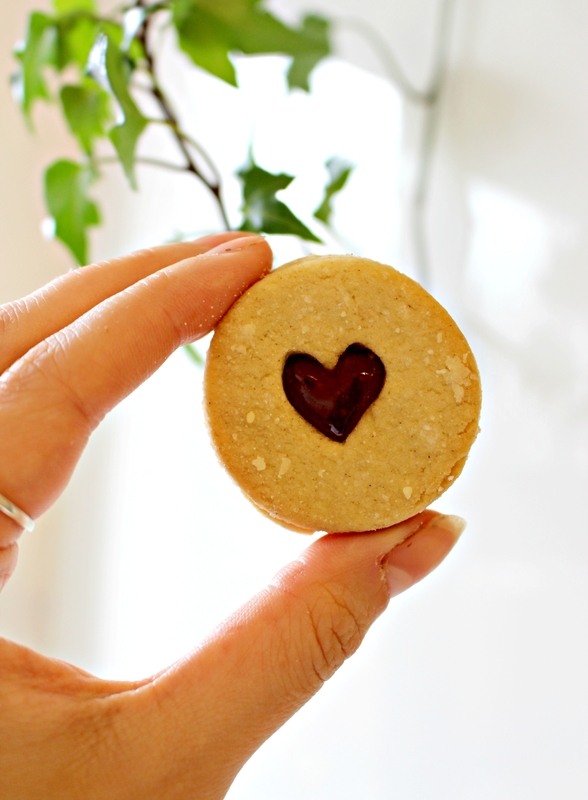 I actually haven’t got any biscuits butters, so don’t worry if you don’t either – just get creative! 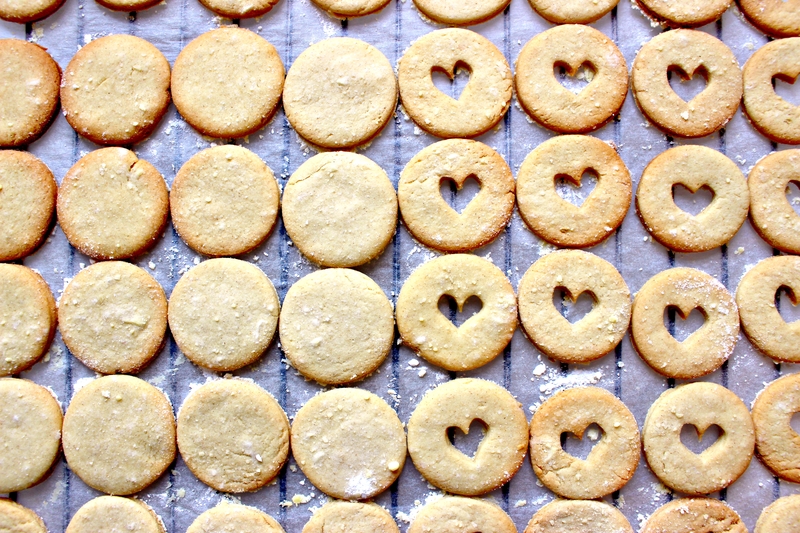 I used the lid of a little herb bottle to cut my shortbread rings. And I made the little heart cutter from the metal of a tea-light candle!! I cut the bottom out, and then shaped the outside ring into a heart 🙂 give it a go! There were 24 dodgers, but I had to taste test them right?! Cream the dairy-free butter, sugar and vanilla together until smooth. Add the flour, cup at a time, and mix it in to form a firm dough. Pop the dough in the fridge to cool (if you’re in a rush you can skip this bit, it just makes it easier to roll). Pre-heat your oven to 160ºC and line a large baking tray with greaseproof paper. Flour your worktop so the dough doesn’t stick. Roll the dough out to about 1/2 cm thickness. 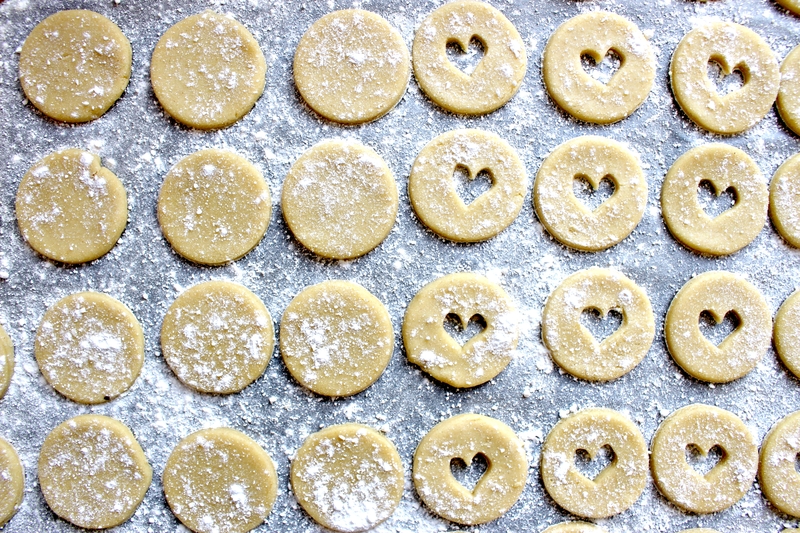 Dust them with icing sugar. Place them on your tray and bake for around 15 minutes until the biscuits have just started to brown on the edges. Allow them to cool for 15 minutes. 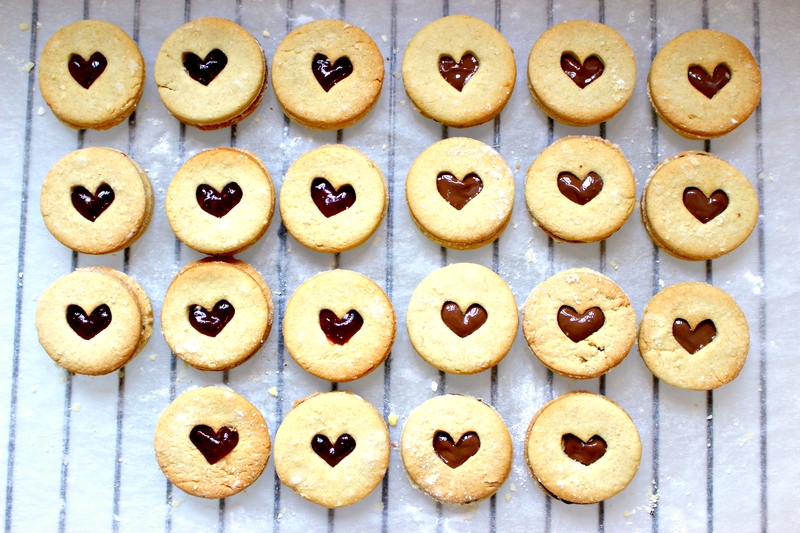 Use about a half teaspoon of either melted chocolate jam on your full circles, and place the biscuits with the hole on top. Veggie Shawarma Kebab - Vegan Recipe! Tofu, Broccoli and Quinoa Salad with a Peanut and Sesame Dressing!